adjustment. 30-inch metal scope, plastic trim. Yoke mount. Phone ordering's a quick and easy way to buy it. Visit the moon, stars and planets .. study the rings of Satur close up ..
steady view. Magnification is 100-power inverted ; 150-power erected. inch high wood tripod. Metal mount and tripod chain. position. 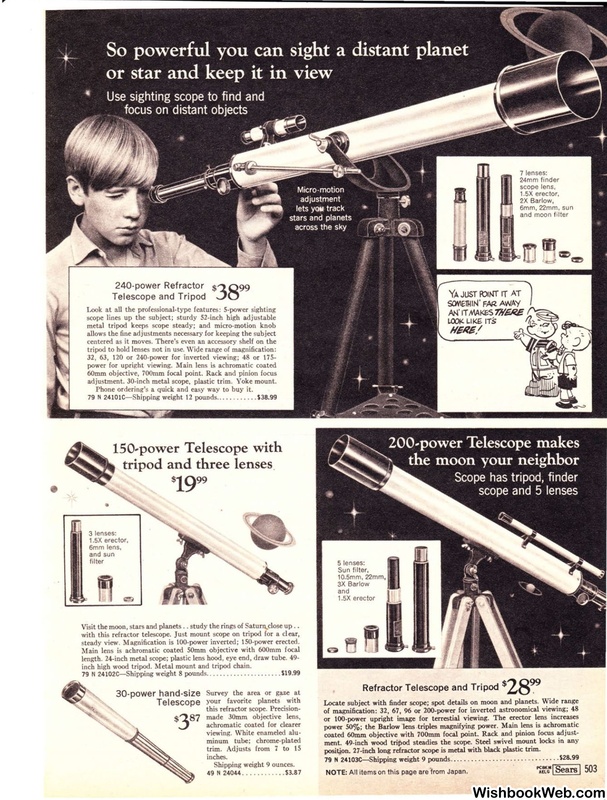 27-inch long refractor scope is metal with black plastic trim. All items on this page are1rom Japan.